If you are wondering how you will keep the children busy in the summer holidays this year, Kent Sport has the answer. SummerZone is the University of Kent's affordable one to two week long summer sports camp for five to twelve year olds, run by double Olympian Mel Clewlow. 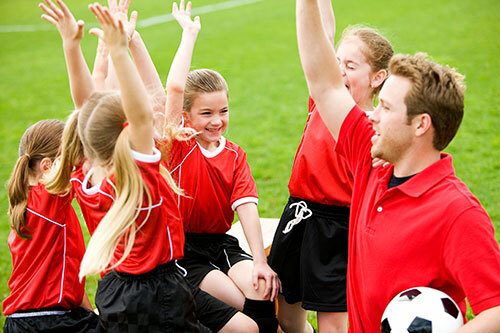 Why not give your children the opportunity to take part in sports, fun and learning this summer? The energetic camp is packed with football, kwik cricket, rugby, hockey, tennis and other activities and is led by qualified instructors. Our staff are raring to go to make the camp the most fun children can have in Kent this summer! SummerZone will run from Monday 12 – Friday 16 August and Monday 19 – Friday 23 August 2013, from 9am to 3pm with early drop off, late pick ups, day passes and discounts available. This summer children will be able to enjoy the sports camp whatever the weather with the addition of Kent Sport's new indoor tennis and netball centre and a third sports hall. The children that have participated on previous occasions have given terrific feedback. Poppy Watts said, "SummerZone was great fun, I made lots of new friends and learnt lots of new sports. I definitely want to come back next year!" Bookings are being accepted now; for full details and the booking form visit www.kent.ac.uk/summerzone, email sportsdevelopment@kent.ac.uk or call 01227 823623.